Netgear has now three different mobile LTE routers for the network providers in Europe, making it become a serious contender for the top dogs Huawei and ZTE. The latest model with the name AirCard 790 dominates LTE Category 6 (CAT6) and can reach speeds of up to 300 MBit/s download. Operation is via a large, color touch screen and the battery is even used for charging other devices. How does the Aircard 790 perform in practice, you will find from 4gltemall.com/blog. The Netgear AirCard 790 router is supplied in a small cardboard box along with a power adapter and a USB cable. The USB cable can be used to charge the battery and to connect to a computer. 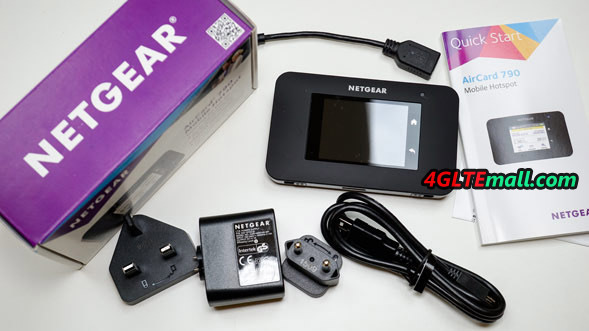 In addition, there may be a user manual in different language to guide users how to do the simple settings in Netgear AC790 for internet connection. The body of the Netgear AirCard 790 is made ​​entirely of plastic in order to achieve the best possible optical outputs and inputs. The surface of the body is matt and feels high-quality, the workmanship is very good. The flaps on the side antenna connectors (TS-9) make a good impression. The back can be easily removed to change the battery and the SIM card. 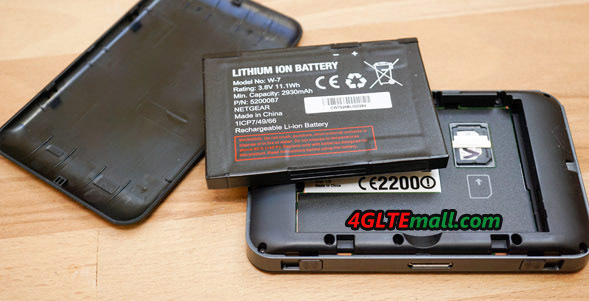 This feature is better than other brand models such as Huawei E5786 and ZTE MF970, whose batteries are built-in, user can’t remove them for change. 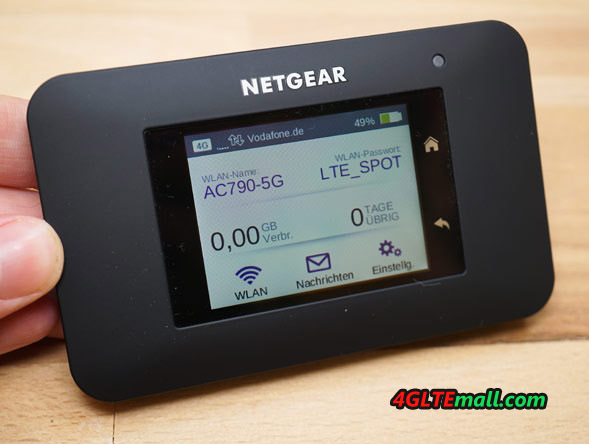 Many mobile LTE routers have a small display on the front, which shows the most important information clearly. 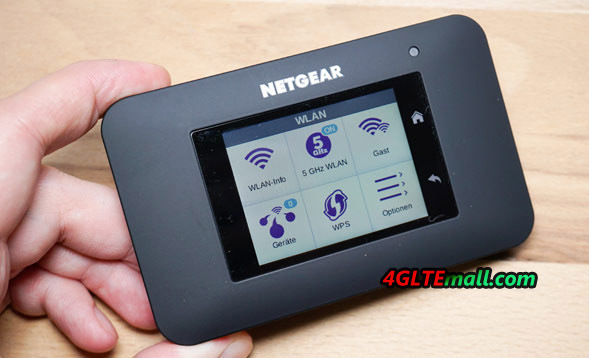 On AirCard 790 Hotspot, the manufacturer Netgear has gone one step further and has integrated a large touch screen in the unit, the operation can be done via the scrren like on a smartphone. The display is 2.4 inches in size, bright and easy to read. Thanks to the large icons and clear labels, it’s simple to operate the 790 Aircard for everyone. The functions are quite extensive: There are statistics about data usage and online time, and as needed user can setup the volume limit of its own tariff and be alerted at certain boundaries. Of course there is also the on or off option for data roaming abroad and if necessary, user can link data by entering the APN and password, if the Netgear 790 does not automatically detect. Regarding the operation via touch scrren, it is an improvement over devices which can also be controlled via web interface; users can do more deep settings from the web interface. The Netgear AirCard 790 Router achieved at speeds up to 300 Mbit/s downstream and up to 50 Mbit/s upstream in LTE network in Germany, Austria and Switzerland. This is made ​​possible by the integrated LTE Advanced Cat. 6 modem from Qualcomm, which additionally supports UMTS with DC-HSPA+. 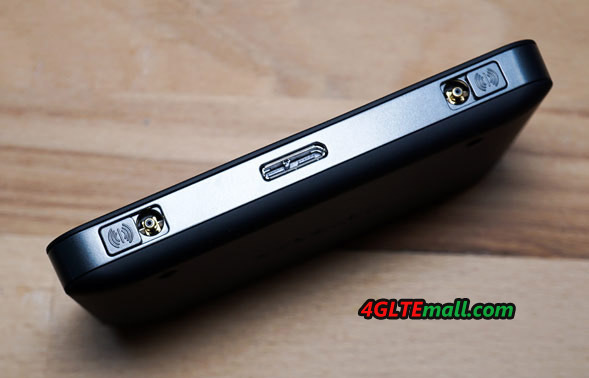 GSM and EDGE cannot be reached by Netgear AirCard 790, which is still a bit strange, since all the other hotspots on the market support the 2G network. On the other hand, it did not bother the test because stable and fast surfing anyway are possible only with UMTS and LTE and the network extension by now is quite good. In the test, we use the SIM cards from Vodafone and Telekom, which were released in each case for the fastest speed. The Netgear AirCard 790 Router reaching speeds of just over 200 Mbit/s in download and up to 44 Mbit/s upstream. But the usual data rates were between 50 and 120 Mbit/s. The latency times were between 20 and 40 milliseconds (depending on the test server). 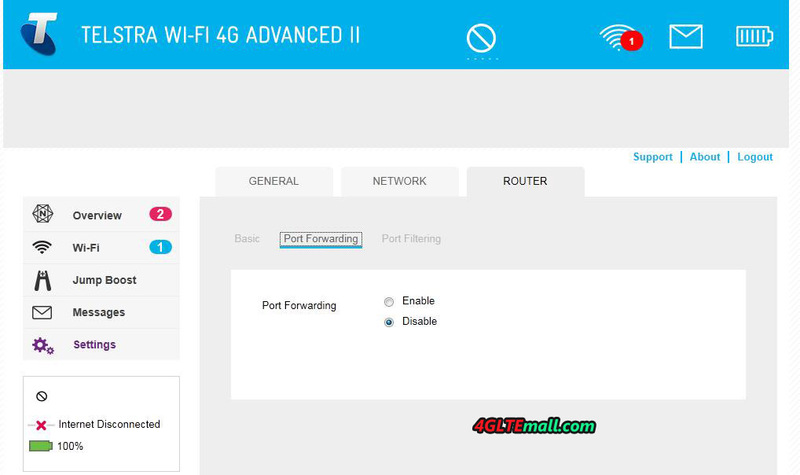 Up to 15 devices could connect with Netgear AC790 router via wireless internet; the maximum unit number can also be set lower in the settings. 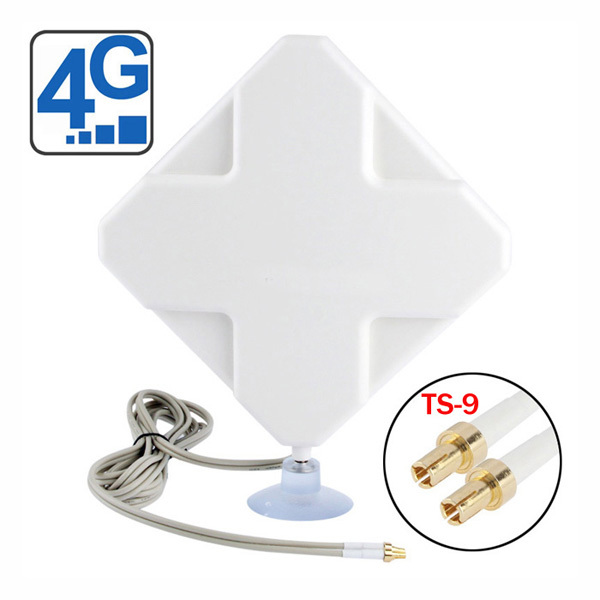 Thus, the high LTE speeds can also be used at the connected devices, and the latest WLAN AC standard available. This delivers speeds up to 1200 Mbit/s in the frequency ranges of 2.4 GHz and 5 GHz. 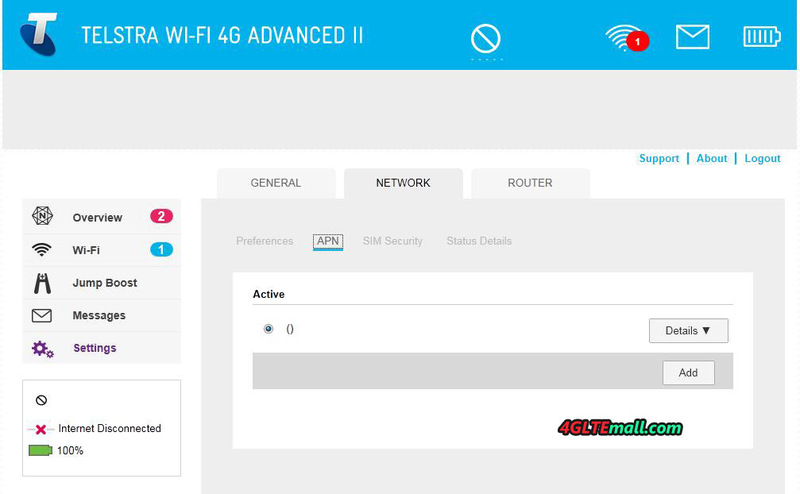 On request it is also possible to open a guest network, which is then provided with its own name and its own password and is separate from the main Wi-Fi. A wireless extender or wireless repeater is installed in some Huawei LTE hotspots such as similar model E5786, but this function is not available in Netgear AirCard 790, which is one of the few weaknesses compared to the competition. The battery in the Netgear AirCard 790 router is about 3,000 mAh strong and can be easily exchanged by the user, which is a positive exception compared to similar models. The operating time is lasting approximately 10 to 11 hours, taking into account factors such as reception level, frequency of cell change and number of connected devices, which can significantly affect battery life. A special feature is the so-called Power Bank Function: With the supplied USB cable, other devices such as Smartphones can be charged via the Netgear AirCard 790 Battery. This is ideal, for example, when the phone battery is empty, you would like to make a call and needs only to reload short. In our opinion, the Netgear AirCard 790 LTE Hotspot currently is one of the best mobile routers in 2016. The device offers all important functions, has a fast LTE Advanced Cat. 6 Modem and can be operated comfortably via touch screen. The battery life is very good and can connect, if required, an external LTE antenna to improve the speed. With around 280 USD (as of April 2016), you will definitely get a future-proof device. Here now, there is unlocked Aircard AC790S available on www.4gltemall.com. With the unlocked aircard 790S, you can use any network providers’ SIM without any limit. So it’s a good partner to take for overseas travelling or business.